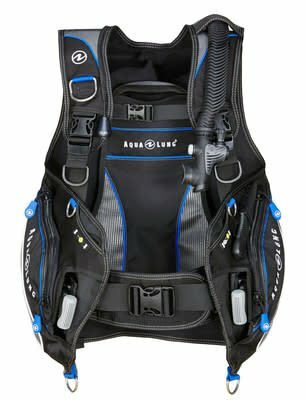 An attractive weight integrated wrap-around jacket sure to appeal to a wide range of divers. 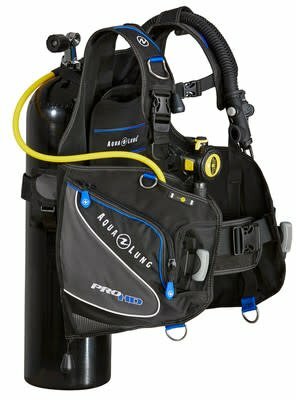 The Aqua Lung Pro HD BCD is an attractive wrap-around jacket with weight integration which is sure to appeal to a wide range of divers. Offering great value for money the Pro HD combines richness of features with an affordable price. Its advanced ResisteK materials offers protection against the rigours of salt and chlorine and maintains the BCD's good looks. Available in an attractive black/charcoal/blue colour combination the Pro HD is protected against abrasion and fading. Patented SureLock II Mechanical Weight Release systems provides a safe, simple and secure single-pull release. 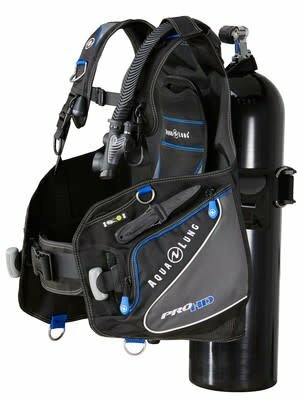 The proprietary backpack comes with a built in carry handle and a traction pad to reduce tank slippages. Large, easily accessible utility pockets on either side of the BCD have two-way zippers with pulls. Adjustable waistband suitable for a wide range of waist sizes. Low profile flat valves help to reduce drag. Trim weight pockets for increased weight capacity. Scooped octo-pocket simplifies octopus storage and deployment. 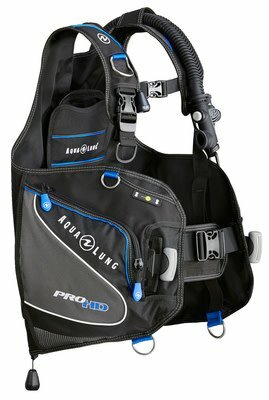 Positioning strap enables you to set the Pro HD at your preferred height on every dive. Knife attachment points suitable for many of Aqua Lung's range of knives. 5 stainless steel D rings. Large, easily-accessible pull bobs can be gripped while wearing thick gloves.